1-800-PALEWAVE (Why Drake Is Probably on Tumblr) — AS RAKESTRAW - The personal site of Alex Rakestraw. AS RAKESTRAW | The personal site of Alex Rakestraw. When the music video to Drake’s “Hotline Bling” hit Apple Music in October 2015, the bizarre pastel backgrounds and campy muzak beat (coupled with Aubrey’s over-the-top dance moves) made the video a cultural phenomenon. Edits of the video blew up on Vine; parties nationwide erupted into “the dance” (you know exactly which one I’m talking about” when the song played; apparel featuring the single’s pale pink cover art sold out online. “Dress like Drake” guides hit fashion forums within 48 hours. Student organizations on my campus produced “1-800” Facebook banners to promote their causes. There was no denying it: “Hotline Bling” was, and continues to be, everywhere. To many of the video’s 336 million viewers, the Toronto rapper’s latest was a boundary-pushing audiovisual experience equal parts enviable and ripe for satire. It was also boldly different in a commercial rap arena dominated by bass-heavy production and braggadocio visuals. It was weird. It was unconventional. It was really goddamn catchy. But above all else, “Hotline Bling” was the first time a little-known visual style born out of self-parody had gone somewhere other than your little cousin’s Tumblr. It is also, perhaps, that style’s highest expression. Vaporwave (and its fashion cognate, “palewave”) refers to an internet movement started in 2011 that blends early-90’s subculture with the acid-washed color schemes of an 8-bit Miami Vice to produce… well, unconventional weirdness. Vaporwave is chock full of self-aware juxtapositional irony: hallmarks of the style include pastel color schemes, Internet iconography, poorly-translated Japanese characters, and classic Greek sculpture. The genre is commonly interpreted as a critique of capitalism: brands, logos, and advertisements provide both inspiration and direct content for the artists. For example, the #2 Google Images result for “vaporwave” is a Windows 95 logo surrounded by motion-blurred Gameboys and acidic purple clouds. No, really. I mean it. There’s a fantastic video history by Youtube user “Wolfenstein OS X” (a name that’s vaporwave in itself) that charts the movement’s development, reaching as far back as 2010. Over the course of the video, the narrator describes the genre as “remixed computer sounds”, “the sensation of night wandering”, “a mysterious romantic trip through neon haze”… and “doomed to irony and cynicism.” He’s not far off – the very premise of vapor/palewave seems to be an awareness between all parties involved that what they’re doing is objectively lackluster. Slowing down 80’s pop ballads and playing them over nonsensical grainy animation may be a critique of over-production, but it’s also esoteric past the point of agreeable. The term “appreciation” is used often when describing vaporwave as broader package. You, the listener, has to be in on the premise to appreciate what’s going on. Otherwise, you’re just listening to remixed Pepsi ads for no reason at all. The genre spread primarily through indie music forums, Tumblr posts, and a small-but-dedicated subreddit. Palewave (the fashion movement analogue to vaporwave) absorbed the color palette of vaporwave, the bleeding self-awareness of normcore, and the 90’s culture obsession that defined both into a mishmash of genres that got a lot of dudes to wear pink. Your typical palewave outfit (c. 2014) included light wash denim, white sneakers, and a disinterested stare into the distance. This was a far cry from the #menswear-dominated internet fashion scene of the early 2010’s. But fashion is fickle, and the world at large would soon grow tired of leather boots and wool sweaters. When the tides began to turn against what had been deemed the mass cultivation of an authentically-pleasing image (see: 500,000+ Google results for the phrase “modern gentleman”), the irony and cynicism of pale/vaporwave seemed ready for its moment. Arguably, that moment came in spring 2015. International labels like Supreme, Palace, and adidas x Raf Simons would produce discernibly palewave-inspired garments. 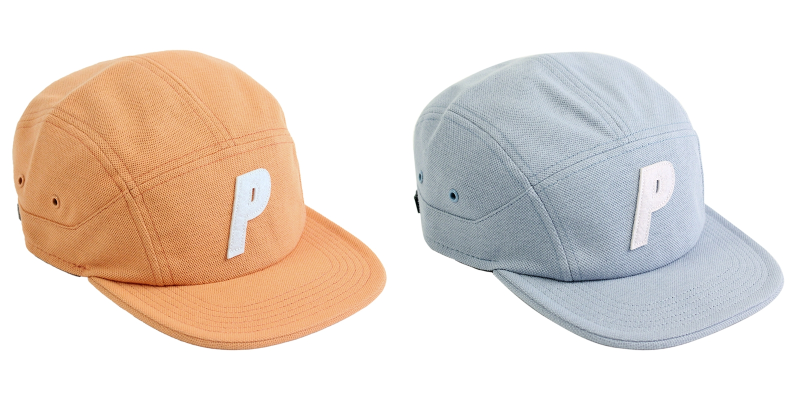 Fashion retailer Elwood would even produce an entire “Palewave” collection for S/S15. Palewave, like vaporwave, wasn’t exactly what you’d call “mainstream” – even by Fall 2015, Google Trends reports search traffic for “palewave” as not enough volume to display long-term results. You really had to be plugged into the Tumblr communities (*cough* Drake *cough*) that created vapor/palewave content to understand why washed-out ironic clothing was cool again. Both vapor and palewave are dwarfed, however, by the sheer scale of their greatest achievement: the influence they had on the production of “Hotline Bling” and the cultural tidal wave that followed. The effect of the intentionally-bizarre video, as noted above, was overwhelming. But many of those 336 million viewers simply didn’t understand what they were seeing. Watch “Hotline Bling” again and pick out some of the ways used to describe vapor/palewave throughout this article. The music video has it all: pastel color schemes, mysterious romantic trips, night wanderings, and acute self-awareness that every atom of the experience (from the remixed elevator music in the background to Drake’s dance moves) entered life as, well, pretty lame. Even the costumes worn throughout (lightwash denim, pastel pink shirts; grey sweatpants, oversized turtlenecks) drip retro fascination made camp. Instead of remixed Pepsi ads, however, we’re treated to the audio of a really solid rap single. If irony is derived from the unexpected, legitimately good original music (when the listener expects over-processed synth rap) might be the most ironic and self-aware option in play. In this sense, “Hotline Bling” is vapor/palewave gone full circle. The video’s success stems from Drake’s undeniable and earned star power, but its mainstreaming of the vapor/palewave aesthetic is, in a lot of senses, those genres’ highest practice. A music video inspired by satirical critiques of consumption inspiring a cultural phenomenon that sells its own hats and t-shirts: Drake could reblog that with pride.